Skyler and Phee are two sisters with very different personalities. Skyler is the quiet one, thinking things through while Phee jumps into a situation not thinking about the consequences of her actions. Right now, they, along with their mother, are on the move to what was once Central Park in order to stay safe through the winter. It's not what any of them want, it's what they need in order to survive. New York City, including the island of Manhattan where the girls and their mother live, have undergone changes because of World War III and the Red Army that took over. While their mother may remember the time before WWIII, Sklyer and Phee only know the broken down streets, the savages lurking in dark corners, and Rolladin and her lords, who rule the decimated population at the POW camp once known as Central Park. Rolladin rules with an iron fist, and those rules must be obeyed. When Phee, Skyler and their mother arrive late for the head count, they know they're in trouble. Those who don't make it are forced to try and survive outside the POW camp, where many have tried and failed. But for some reason, Rolladin has a soft spot for the girls and instead of kicking them out, she allows them in with one condition...Phee must be part of the annual street fights in order to win their family a spot inside. While Phee sees this as an opportunity, quiet Skyler sees the danger in it, understanding how manipulative Rolladin can be. After playing her part, Phee, Skyler and their mother are able to move back into camp, but one fateful night will change their situation. One chance meeting with outsiders and a conversation overheard will change the girls' world and future as they know it. Instead of seeing themselves as safe, they now understand they are actually prisoners and are willing to risk the outside in order to flee, along with their mother and the two strangers, from the madness. What they don't realize is that madness can be found anywhere, especially in a world that is trying to right itself and the struggle for power over what's left becomes the new battlefront. 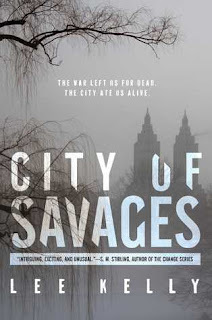 Kelly Lee writes an amazing dystopian YA novel with a larger than life backdrop of a bombed out NYC and the different survivors dwelling there. They say opposites attract, and Lee uses this through point of view alternating narratives between the sisters and how they see the same situation in completely different ways. This is what creates the solidity of this novel. The characters are real, the history is real, and those in the background create a stark reality. This is what I've been waiting for....a great, believable dystopian novel with a fast pace and abrupt surprises. Another strong point of this book, are the adult characters in it. While the two main characters are teenagers, Lee uses the adults to juxtapose the newer and older generations involved in the ultimate fight for power. While the two sisters are strong together, it's the adults helping them create and hone their strenghts while trying to survive the fierce competition for power. While the two sisters are strong together the adults help create and hone their streaks while trying to survive Recommended. 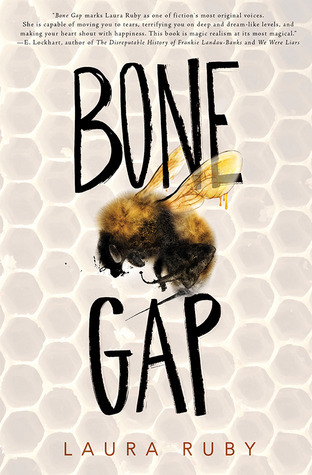 Bone Gap is a small town where everyone knows each other on a first name basis. It's also a small enough town where your personal life can become community property. No one knows this better than Sean and Finn. Living alone without any parents to help (and everyone knows how that happened), Sean works full time and looks after his younger brother who is still in high school. Dreams were given up as well as the cameraderie brothers had. Finn knows this only too well, but can do nothing about it. He misses his older brother even though they're in the same room and when Roza left, the gap became larger in the brothers' relationship. Roza came to Bone Gap quite unexpectedly. Born and raised in Poland, she left her home country for the opportunity to be in America, but what she saw and experienced were darker and bleaker than she imagined. Sean found Roza and gave her time to find herself again. While others were struck by her beauty, Sean gazed at her beyond the beauty and began to fall in love with the woman. No one had ever done that before. In turn, Roza helps Sean and Finn find the bindings that loosened between them and she also became part of the family...until the day she disappeared. Finn saw it happen, but there are gaps to what he saw. He couldn't tell you what the man who took her looked like and wouldn't even be able to recognize him in a line-up because Finn is unable to recognize faces. Petey likes to live in the solitary gaps she finds. People talk about her, know her story, but do they really? 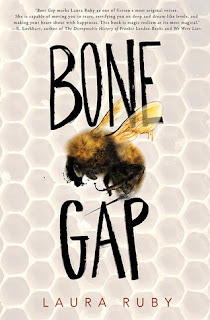 She's the pretty girl with an ugly face and the honeybees she helps tend with her mother allows her to take cover from what everyone says about her...until one night when Finn arrives at her house on a dark horse. They go on the most magical ride, falling into the gaps between the world they live in and the other world that exists between. The more Petey and Finn spend time together, the more their gaps are filled with much-needed love and acceptance. The man took Roza because she was the most beautiful creature he had ever seen. He told her he would never hurt her until she came to love him. He offers her the finest things in beautiful places, but whatever the facade may be, it is still a prison. He also knows Finn is searching for Roza and is working to create a gap large enough where Roza will never be found. Little does he know how resourceful, strong and patient his beautiful prize can be. Told in alternating stories between Finn (for the most part) and Roza, the reader is immersed into a beautiful story of reality and fantasy. Roza's world is fantastical and horrible at the same time while Finn lives in the real world that is becoming more beautiful every day. Ruby's writing flows with emotion and beauty, taking the reader beyond the pages to the heart of the book - one about the importance of relationships. It's been awhile since I last cried while reading a book, and this one I couldn't help myself. 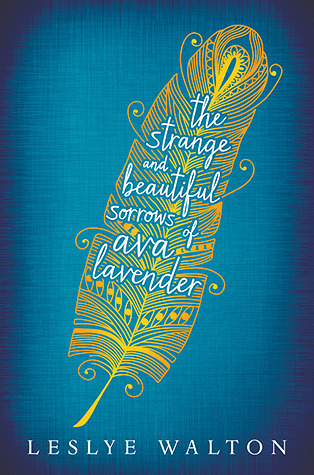 It wasn't out of sadness, but out of the beauty and deep strong characters Laura Ruby crafts in this novel. 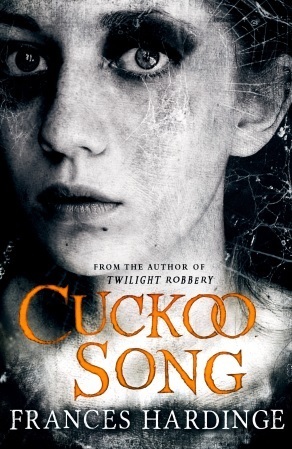 Magical realism at it's best in this book. Highly recommended. Let's Do Some Summer Reading! Usually, #readYAlit doesn't have summer chats, but this year, we are! 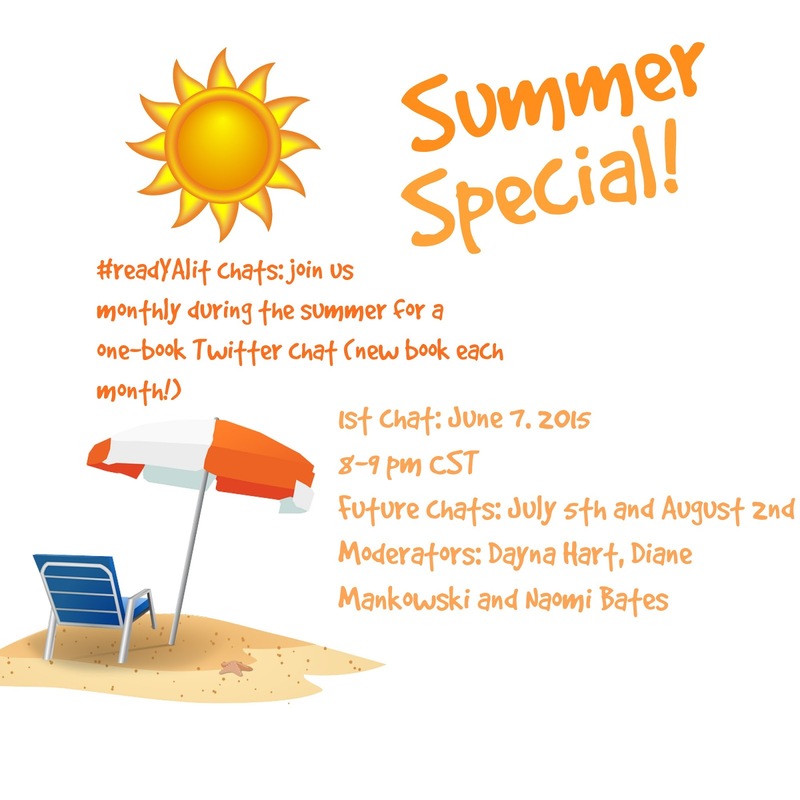 This is the brainchild of Diane Mankowski, an Illinois school librarian and Dayna Hart from British Columbia and myself will be sharing and helping as well :) So come be a part of this!! 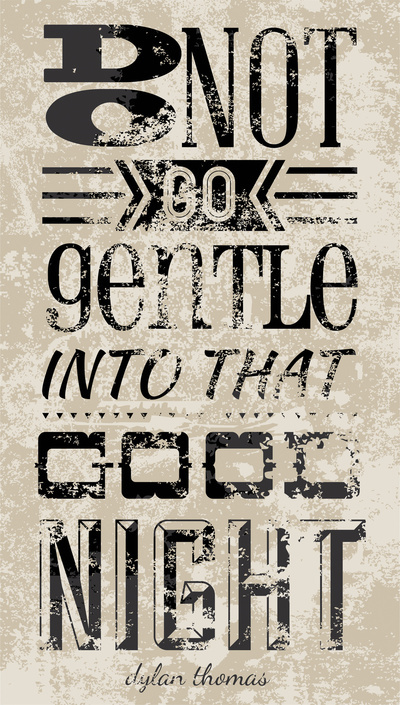 "Do not go gentle into that good night...Rage, rage against the dying of the light." Okay, maybe rage isn't the exact word I'd use for librarians. But the theme of this poem is exactly what I'd use for librarians. It's amazing how fast libraries and our profession has altered in the last 10 years. I remember having a card catalog still available in the school where I started my first job as librarian. (and no, it wasn't in the sixties or seventies either...more like the late 90's). What Thomas is conveying in the poem is to never give up, never stop fighting the good fight, always move forward and onward despite difficult times. With this rushing tide of change we are part of, when it comes to libraries and our roles in them, this is a theme we must adopt. But it doesn't always mean you have to be on the frontline taking it all in at once. Moving forward doesn't have a speed limit as long as it continues to go forward. Some librarians have moved quickly and embraced change while others are more tentative, waiting to see how things work, what is going to happen and then act on it. Collectively, we become that tide with change following in our wake. Last night I was in an exceptional Twitter chat with Angela Maiers where the topic was "#youmatter. When was the last time someone said that to you? 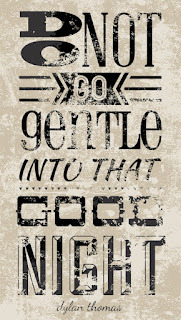 When was the last time you said that to someone? So, I'm here to say you DO matter! Not only do you matter, but what you do matters too. Librarians shouldn't be pigeon-holed to a stereotype that keeps perpetuating and the further our profession moves forward, the more we will be valued for what we are today. There should be no excuses, no reasons to not want to be professionally fierce. And not wanting to change are the difficulties we must rage against, and they are our most powerful enemy. It's time to fight AGAINST dark days and be a part of the battalion who want better than what once was. It's about goals we can make and do our best to fulfill; making and committing to a change (small or large) to make yourself part of the fast-paced change our profession now demands. 1. Look at your procedures and tweak them to allow more fluidity. It's not about the "stuff" but about the positive relationships you can create. 2. Take a web tool you've never used before and teach yourself through Youtube videos, tutorials on the website, or by Googling how to use it. Make a goal to incorporate this into your library or teach it to a class. 3. Network. More than that, bring in a positive perspective and shy away from those who network and bring complaints. Even if you don't like something, find that one thing that made it good. 4. Read books. Lots and lots of books (or as many as you possibly can). Now take them and share them with your campus however you'd like. 5. Create an orientation presentation for students or new teachers. Delete the facts from the slides (because you're going to tell them) and adapt it to capture attention, not be read. 6. Attend a workshop and make it your goal to accomplish it during the school year, not one you just attended for summer credit. 7. Let someone or more than one know they matter and why. 8. Volunteer to be part of staff development. It can be a variety of ways from offering equipment, helping with information, presenting, creating ideas. The more involved you are, the more you'll be seen as part of the team. 9. Look at the library spaces and see what could be a possibility to accommodate students or classes. Think about everyone's needs, not just a specific audience. Kids aren't quiet by nature...how does this impact the library? How can it be changed? 10. Challenge yourself to be available. Not just behind the circulation desk or your office, but on the floor, in the halls, at events and functions.